Hello again, everyone! I hope you had a wonderful and blessed Easter weekend! Philip and I kept it pretty simple around here, got a few things done around the house, and just enjoyed the sunshine together. We like keeping things simple around here. A movie night with just the two of us munching on some popcorn suits us pretty well. I’ve decided I’m just a simple kind of girl. I mean, one of my favorite hobbies consists of just running…pretty simple. My house is anything but cluttered, I’m happy in just a plain, white t-shirt and jeans (which is good because this happens to be what I was wearing the first time I met Philip and it’s his favorite, too), and I could eat peanut butter & jelly for the rest of my life. Which I probably will do. But I’m still classy — not boring simple. 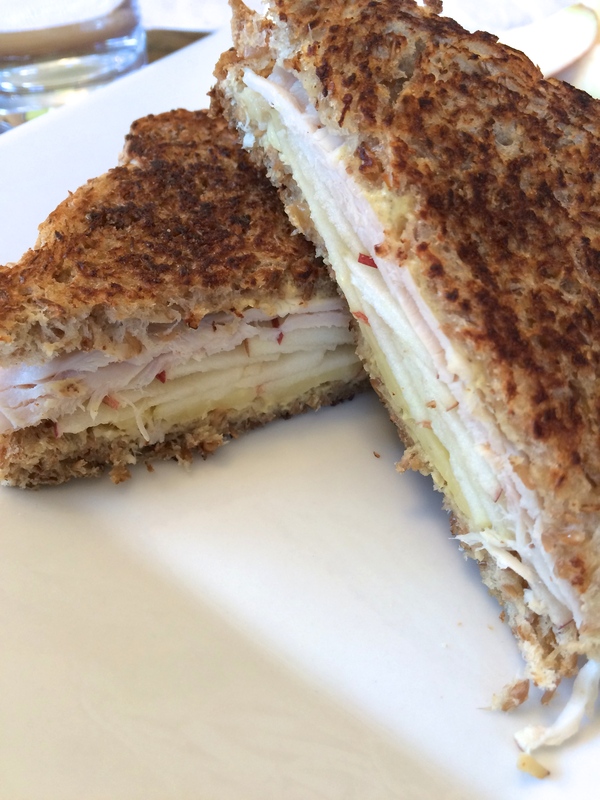 I like to get dressed up every once in awhile and I’ll occasionally swap out my peanut butter & jelly for something a little more sophisticated, like this simple — yet classy — Sweet Cheddar & Apple Turkey Melt. 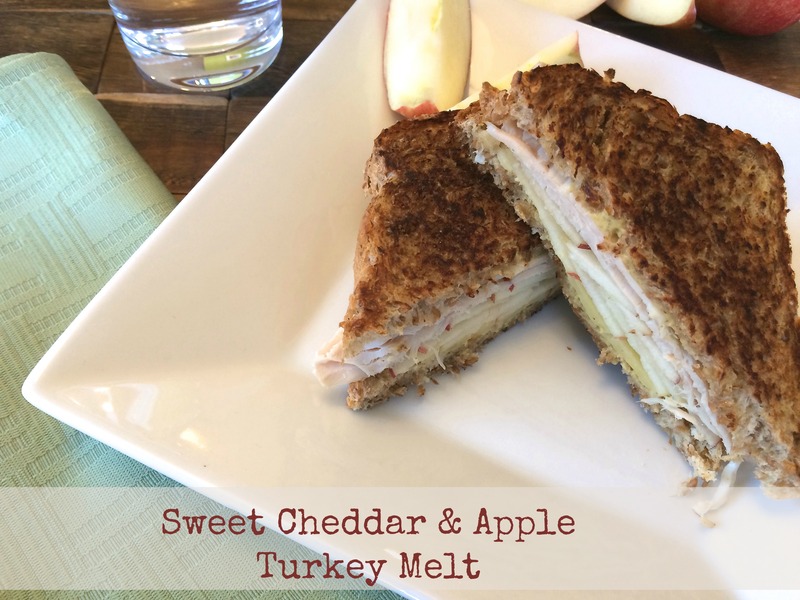 Sweet Cheddar & Apple Turkey Melt sounds classy, looks classy, but it is so simple. The ingredients are pretty much listed in the name. On the weekends when the mood strikes, I often get out the skillet to whip up a melt of some kind. This latest melt that I made this weekend totally hit the spot in my simple-yet-classy book. 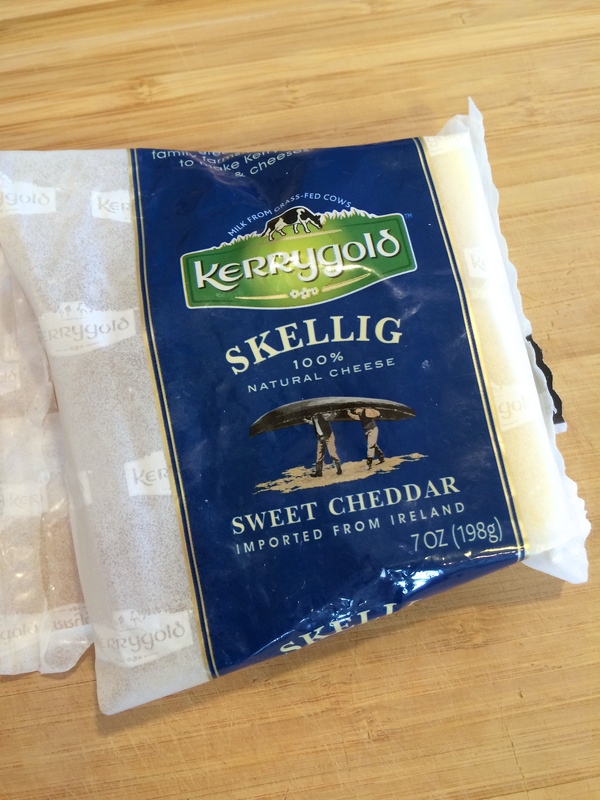 I had some of this amazingly tasty Kerrygold Sweet Cheddar cheese in the fridge and knew it had to be put to use in a good way. You can use whatever kind of white cheddar cheese you’d like, but this is some fiiiine cheese. It’s slightly sweet, yet savory and salty all in one. 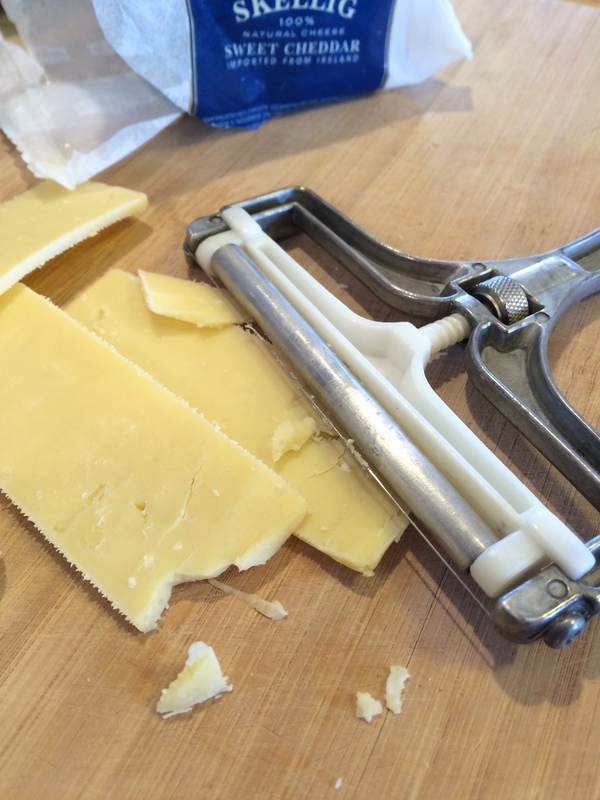 In the melt, the thinly sliced cheese melts nicely over the low heat (low heat being the key!) and pairs perfectly with the sweet, crisp apple that I sliced almost paper-thin. 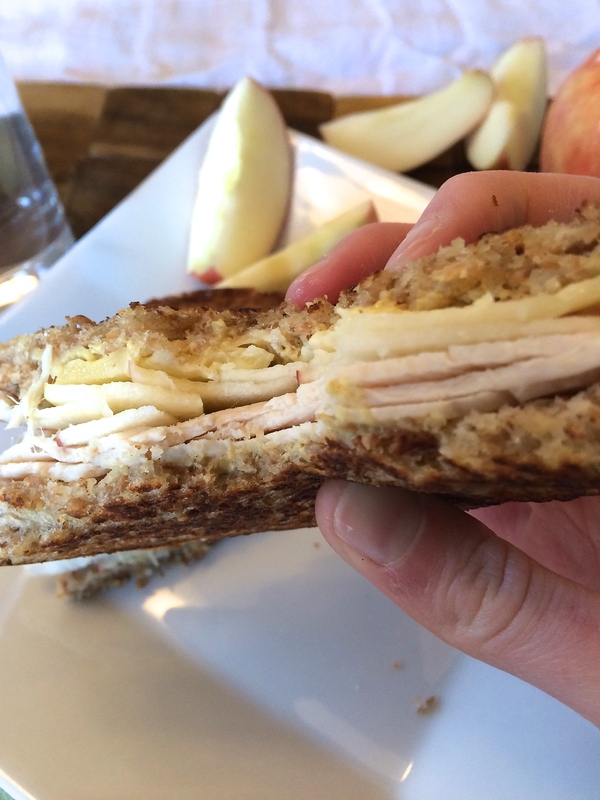 The added protein from the turkey compliments the cheese and fruit pairing and rounds out the sandwich. All piled on top of each other, it looks like a sandwich fit for a fancy deli; but with only basic ingredients, it’s a cinch to make at home. Spray nonstick skillet with cooking spray; heat skillet on the stove on a low-medium setting (about a 4). Meanwhile, spread a thin layer of butter on outer sides of the bread. On the opposite side, spread desired amount of mustard on one of the slices of bread. Cut and assemble all the ingredients before putting the bread on the skillet. Once all items are ready to assemble the sandwich, place buttered side of one slice of bread down on the skillet. 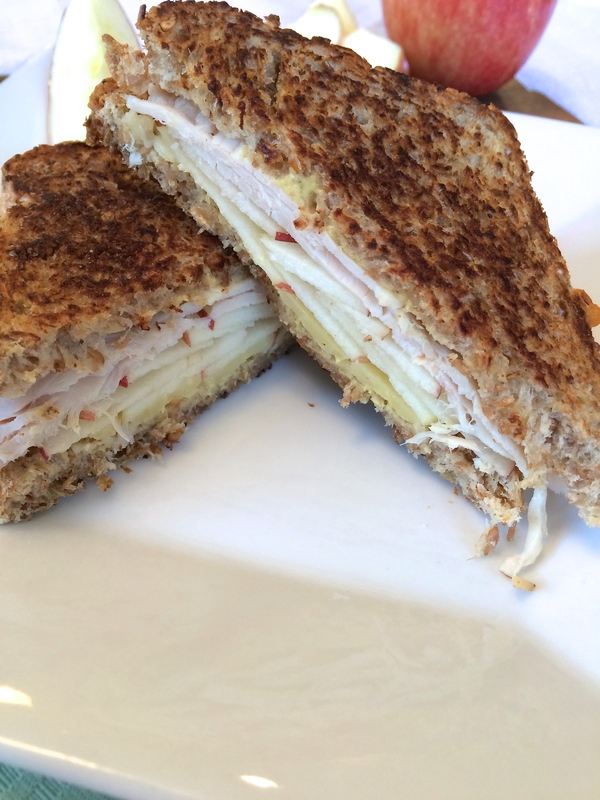 Layer the cheese, apples, and turkey onto the bread. Top with the second piece of bread. Lightly press down on the top piece of bread with the back of a spatula. After 1-2 minutes or until the bottom piece of bread is golden brown, flip the sandwich over and toast the opposite side until also golden brown. Take off heat and enjoy! This looks amazing and now I definitely need to make it! 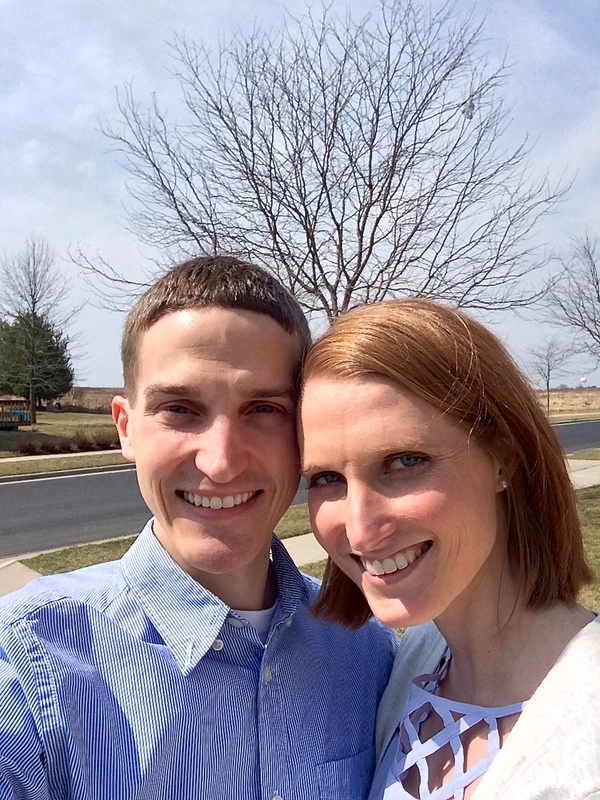 Hope you had a Happy Easter! I’m a jeans and t-shirt person too :)! 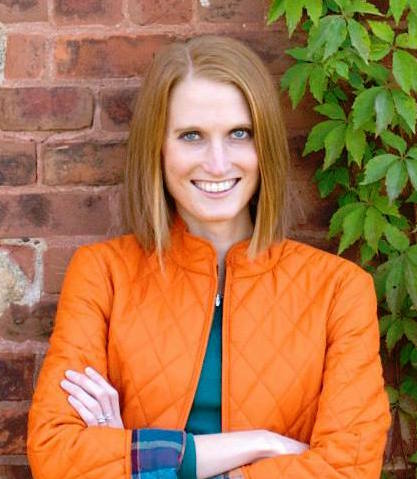 Thanks, Allison! I hope you and Peter had a wonderful Easter as well! I hope you enjoy the sandwich as much as I do!